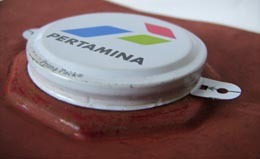 For jerrycan, IBC, pails, cans and all other containers. Manufacturer and worldwide exporter of screw cap tightening tools, torque wrenches and sockets for 50mm, 51mm, 60mm, 61mm, 70mm, 71mm metal and plastic cap and any custom size as per your requirement. 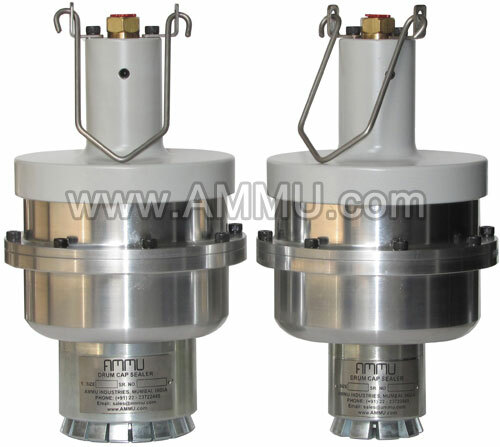 Can be used with pneumatic and manual wrench and torque wrenches. Designed for opening and closing screw caps with ease. 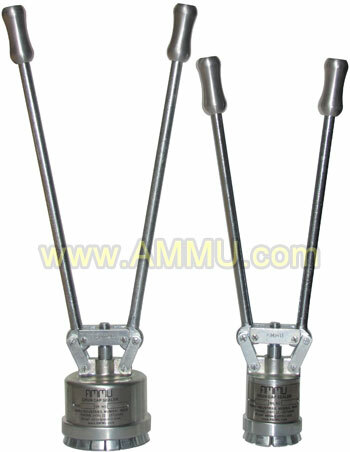 70mm Wrench Head with Handle and 3/8" Drive : Torque wrench head with handle. Aluminum socket for use with 70mm Priority Plastics screw caps. 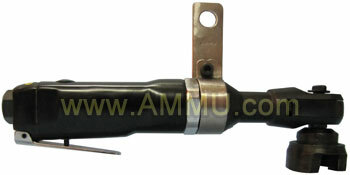 Material : Extruded Aluminum head and Stainless Steel handle. 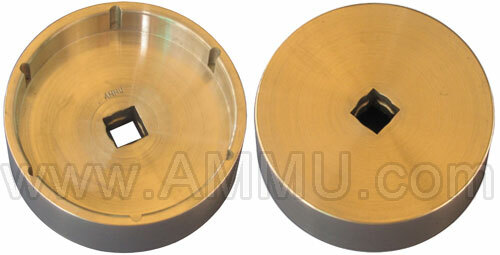 Wrench Head with 1/2" Drive for Rieke 70mm Cap : Torque wrench head. 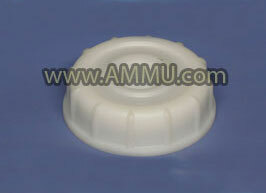 Aluminum socket for use on 70 mm Rieke closures. Material : Extruded Aluminum rod. 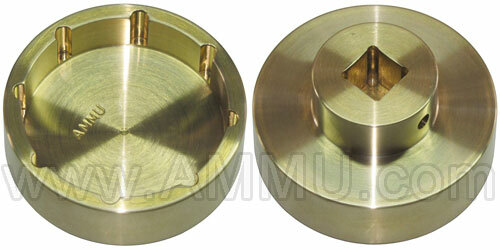 Brass Socket with 1/2" Drive for 50mm, 51mm, 60mm and 61mm Screw Caps : Torque Wrench Head. For use on Industrial screw caps. 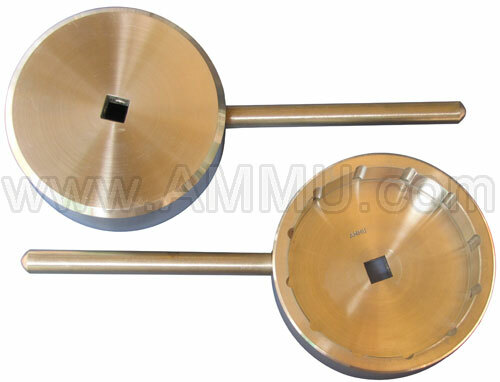 Material : Extruded Brass rod. - Adjustable Torque Wrenches and Fixed Wrenches available with above sockets. - Pneumatic wrench and Manual wrench also available. 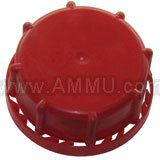 Plastic Wrench for Plastic Screw Caps : For use on industrial plastic screw caps of 55mm, 56mm, 60mm, 61mm and 70mm. Can be designed and manufactured for any custom size. 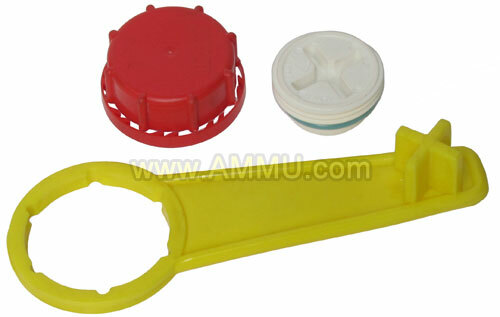 51mm Plastic Cap Spanner Wrench : For use on industrial plastic screw caps of 50mm and 51mm. Can be designed and manufactured for any custom size. Also called pneumatic and manual carbo cap wrench, jerrycan cap opener closer, screw cap sealer, torque wrench for plastic cap.